"We have hope. Hope that things can get better. And they will." 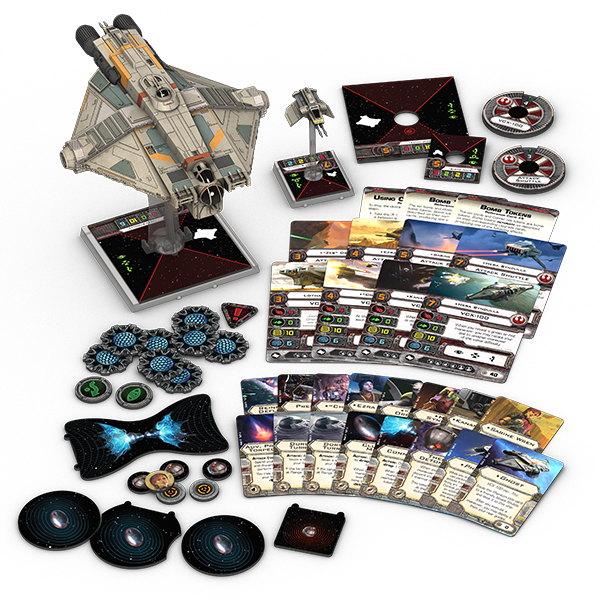 The largest of the Wave VIII expansion packs for X-Wing™, the Ghost Expansion Pack allows you to head to battle with the Ghost , the Phantom , and the six different members of their crew. 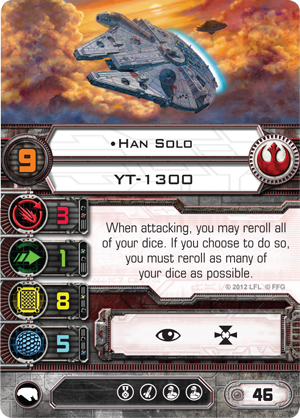 Last week, we began our previews of this loaded expansion pack with a look at its ships, the rules that let you dock the Phantom aboard the Ghost, and some of the ways that the two ships can be paired together in a full, 100-point Rebel squadron. Today, we conclude our overview of the Ghost Expansion Pack with an exploration of the different ways it gives life to the six characters who crew the Ghost and Phantom—the six protagonists of the television show Star Wars Rebels. Led by the Jedi survivor Kanan Jarrus and Hera Syndulla, the Twi'lek owner and pilot of the Ghost, the Lothal Rebels (also known as "the Spectres") worked against the Empire primarily as a discrete Rebel cell. In addition to Kanan and Hera, they included explosives expert Sabine Wren, Astromech Droid "Chopper," Lasat rebel Garazeb Orrelios, and Lothal orphan Ezra Bridger. 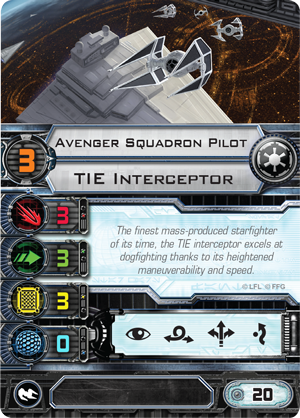 The Ghost Expansion Pack brings all six Spectres to life in X-Wing, but not just once. All six of these characters appear as both pilots and crew upgrades, and both versions come with game abilities to match their unique talents and personalities. "I thought I was a good pilot. But you—you're amazing." First, you have Hera Syndulla , whom we saw as a pilot of the Ghost in our earlier preview. 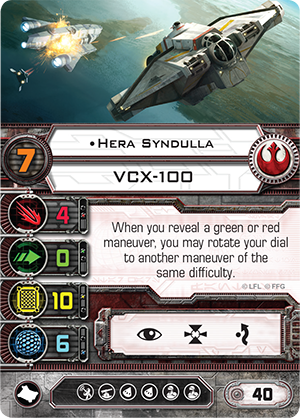 However, Hera is notable not only because she owns the Ghost, but because she is the only Spectre to appear not twice, but three times in the expansion – as a pilot for the VCX-100, a crew upgrade, and as a pilot for the attack shuttle. 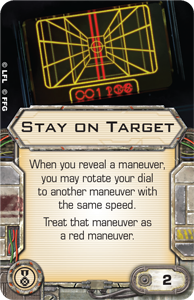 "When you reveal a green or red maneuver, you may rotate your dial to another maneuver of the same difficulty." 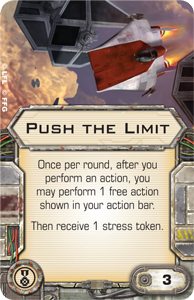 Given Hera's relatively high pilot skill value of "7" and the many different red and green maneuvers on the VCX-100 and attack shuttle dials, her unique pilot ability presents you a fantastic measure of freedom to respond to other ships and their maneuvers. As a pilot, Hera's ability is almost like a built-in Stay on Target , except that it's limited by the difficulty of her maneuvers, rather than their speed, and it doesn't cause her to take any stress unless the maneuver she elects to perform is actually red. 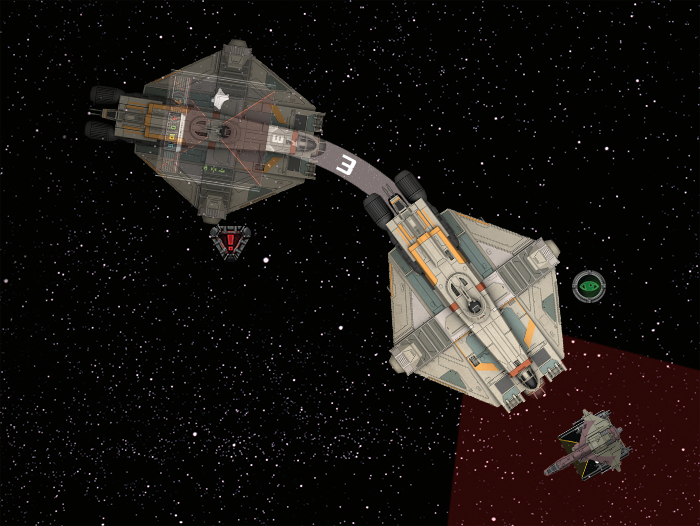 Of course, as with Stay on Target, Hera needs to see her opponent's maneuver to be able to react to it. That means that, unless she counts an Intelligence Agent among her ship's crew, Hera Syndulla's ability is arguably a bit more powerful while she's piloting the attack shuttle, at which time she gains the opportunity to take the elite pilot talent Veteran Instincts . 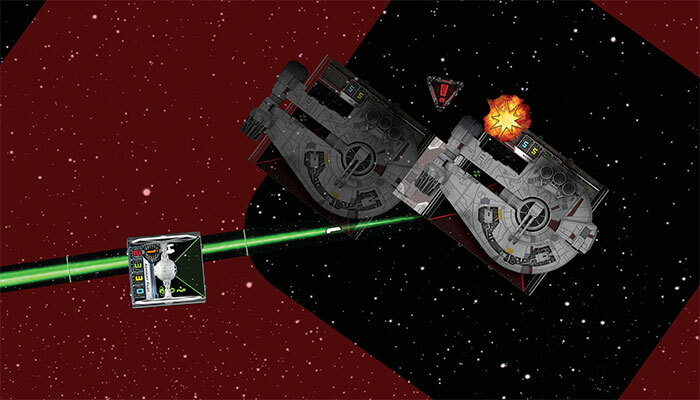 When she realizes that the Speed "3" turn she had initially selected would cause her to collide with the Imperial player's Avenger Squadron Pilot , Hera Syndulla adjusts her maneuver on the fly, changing it to a Speed "1" turn, which allows her to claim a point-blank, Range "1" shot against the TIE interceptor. 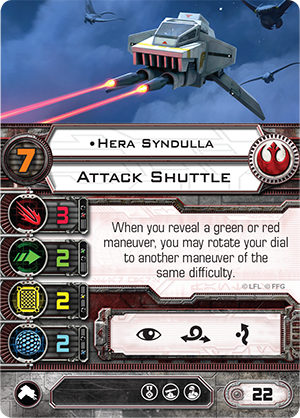 Ironically, Hera Syndulla's unique pilot talent, though more powerful aboard the attack shuttle, is likely more important aboard her Ghost, especially if you can equip it with an Advanced Sensors upgrade. Although the VCX-100 features a special firing arc from which it can fire any torpedoes it equips, and although any VCX-100 can equip a turret weapon, the Ghost is most effective when it is flown to catch foes at Range "1" in its primary firing arc. 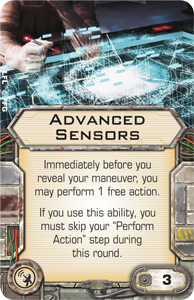 At that point, its attacks of five dice are as devastating as anything in the game, and if you can take actions with the Advanced Sensors before maneuvering, you can further modify them with target locks or focus tokens or both. Finally, the Hera Syndulla crew upgrade plays to her quick responsiveness and her resolve in a different fashion, but one that still allows her to make the most of the maneuver dial. 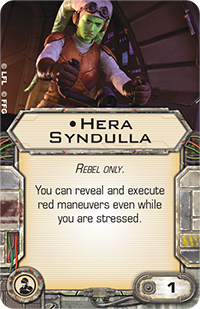 For just one squad point, Hera Syndulla allows her ship to reveal and execute red and white maneuvers, even while stressed. While Hera Syndulla is aboard the Ghost as a crew upgrade, it can surprise its opponents with a Speed "5" Koiogran-turn, even while stressed. Because it ensures her ship's entire maneuver dial is always available and, as a result, makes it harder for your opponent to anticipate your maneuver, Hera's is a strong ability on its own, but it's even stronger when taken in combination with the stess-based abilities granted by some of her fellow Spectres. "I lost my way for a long time, but now I have a chance to change things." 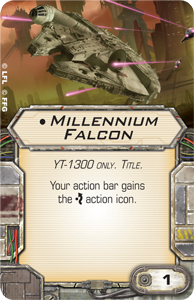 Outwardly cocky and quick to crack a joke, Kanan Jarrus makes his way to X-Wing as a crew card and as a pilot of the VCX-100. In both instances, Kanan's influence is primarily calming and protective. As a crew member, Kanan Jarrus can enhance his ship as well as any other friendly ships within Range "1-2." 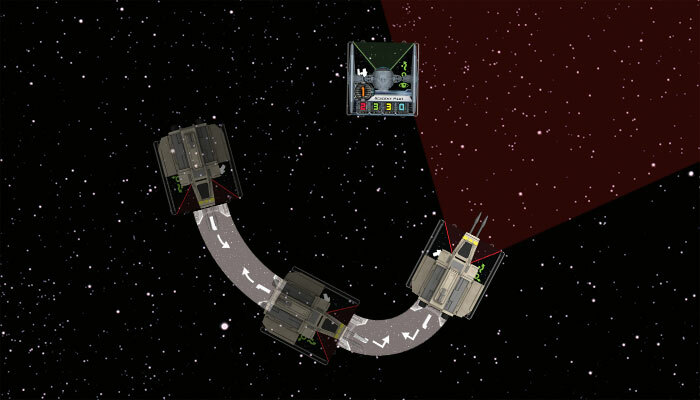 Once per round, whenever such a ship executes a white maneuver, it can remove one stress token as though it had just completed a green maneuver. Much like the Hera Syndulla crew upgrade, the Kanan Jarrus crew upgrade goes a long way toward opening the range of options to you on your maneuver dial. Unlike Hera Syndulla, Kanan Jarrus doesn't expand your options by allowing you to reveal and execute maneuvers that you could not normally execute; after all, you can always reveal and execute white maneuvers. 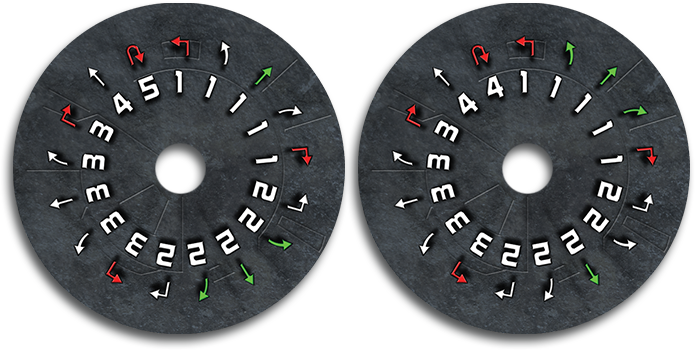 Instead, Kanan Jarrus opens your maneuver dial by allowing you to reveal white maneuvers on the turns you would normally need to reveal green maneuvers to clear your stress tokens and perform the actions you need. Even though its pilot pushes a stressed Ghost through a white Speed "3" bank maneuver, Kanan Jarrus clears the stress, allowing its pilot to perform a focus maneuver to set up a better shot. Aboard the VCX-100, Kanan Jarrus effectively transforms the ship's selection of four stress-relieving green maneuvers into a selection of twelve maneuvers that can clear your stress. 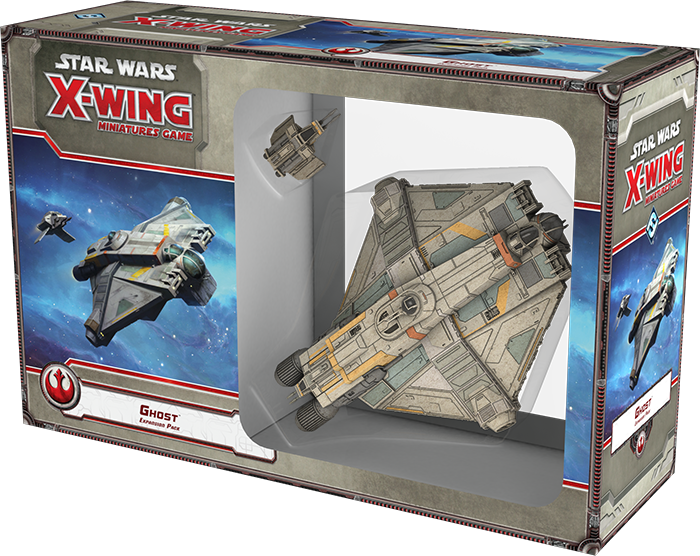 But given the rules for squad-building in X-Wing, Kanan Jarrus is not limited to the VCX-100. He can assist aboard any starship with a crew slot, which means he could potentially fly with Han Solo aboard the Millennium Falcon and help Han fly a mixed series of white and green maneuvers, all while Han uses Push the Limit to gain extra actions at the cost of stress. Of course, since Kanan Jarrus can assist any friendly ship within Range "1–2," you can also use him to free your other pilots to pursue riskier moves, confident in the fact that you will still have most of their dials available to them on the next round. 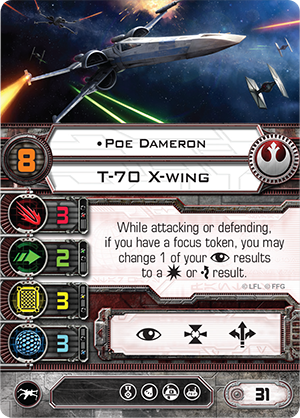 For example, you would be hard pressed to deny Poe Dameron a focus action—and, therefore, his potent pilot ability—two turns in a row, but with Kanan Jarrus in your squad, you could push Poe Dameron through a Tallon Roll and still have all of Poe's white maneuvers available to him on the next round, provided Kanan's ship ends up at Range "1–2" of Poe's. Meanwhile, as a pilot, Kanan Jarrus offers a different sort of reassurance to all those who ride with him aboard the same VCX-100. 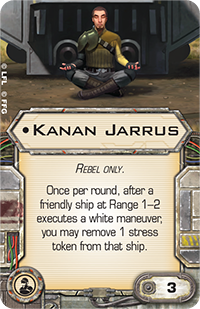 So long as he stays focused, Kanan can spend a focus token to reduce the number of attack dice fired at him by any one opponent at Range "1–2." 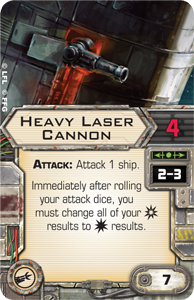 Aboard many of the game's other ships, Kanan's might not be a very useful ability since it demands that you to trade away the ability to use your focus token to modify your attack dice or defense dice. 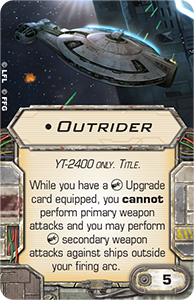 However, the VCX-100 has zero agility, so it doesn't roll defense dice against most enemy ships, and you can equip a Fire-Control System for just two squad points to acquire target locks and use them to modify your attack dice. 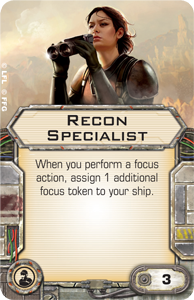 Together, these facts give additional weight to Kanan's unique pilot ability, as does the fact that you could stack additional focus tokens by adding a Recon Specialist or two. 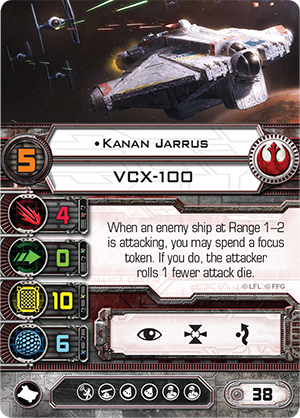 While you can only trigger Kanan's ability once per enemy ship, you could spend as many as three focus tokens to reduce up to three different attacks by one attack die each. The result is that Kanan Jarrus is likely to keep your VCX-100 intact in the heat of battle far longer than one might expect, and you can reinforce his utility by outfitting your VCX-100 with either a Sensor Jammer or the new Reinforced Deflectors. "I'm using everything I learned on the streets, and all that I'm starting to learn from Kanan about the Force, to make a far bigger difference than I could have made by myself." The youngest and most recent addition to the crew of the Ghost, Ezra Bridger arrives to X-Wing as a pilot of the attack shuttle and as a crew upgrade. In both instances, he excels in moments of great stress, as his abilities allow him to rise to the occassion. 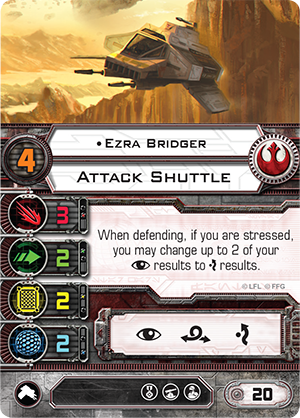 As a pilot of the attack shuttle, Ezra Bridger can convert up to two of his results to results whenever he is stressed and defending against an attack. 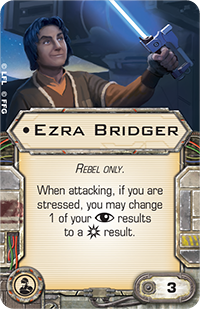 As a crew upgrade, Ezra Bridger takes on a more aggressive role, allowing you to convert one of your results to a result whenever he's aboard a stressed ship. Of course, both versions of Ezra Bridger play well with Hera Syndulla and Kanan Jarrus. Even when Ezra Bridger is stressed as the pilot of the attack shuttle, Hera Syndulla allows him to make full use of his maneuver dial, and while most pilots would normally race to remove their stress, Ezra Bridger is as safe while defending with stress as he is when he can perform actions. 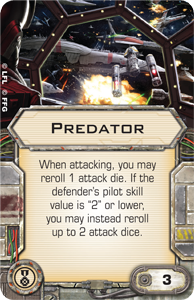 Simultaneously, you can equip Ezra Bridger with either Predator or the Wired elite pilot talent from The Force Awakens™ Core Set, in which case you can modify your dice on both the attack and on defense, all while flying about the battlefield with almost no regard to stress. If, on the other hand, you choose to make Ezra Bridger a passenger aboard Hera Syndulla's Ghost or Phantom, he can boost her attack potential on the turns she decides to execute a red maneuver. 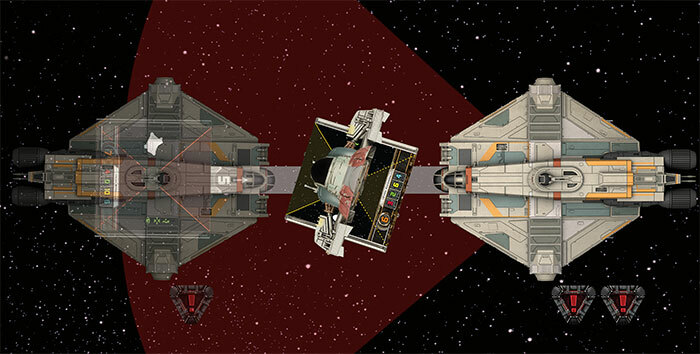 This is particularly useful because Hera finds more options for her unique pilot talent among either ship's red maneuvers than among their green maneuvers, including the ever-useful Koiogran-turn. 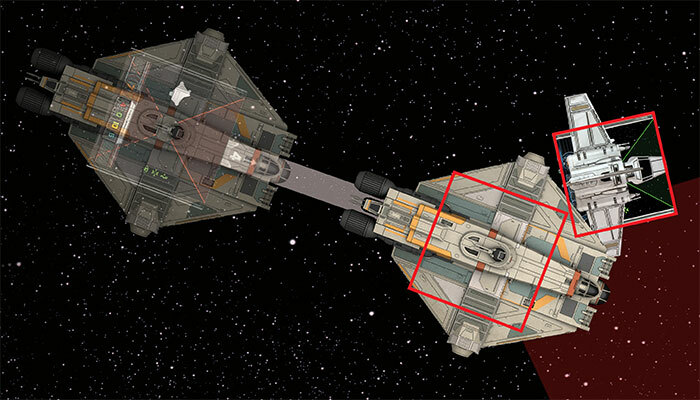 Moreover, if Hera uses Advanced Sensors to acquire a target lock before executing her maneuver, Ezra Bridger's presence aboard her ship means that her attack will be almost as fully modified as if she were to attack with both a target lock and a focus token. The fact that Ezra allows her to perform such a potent attack after executing a red maneuver is a testament to his utility. On the other hand, if you allow Kanan Jarrus to crew Ezra Bridger's attack shuttle, you could also give Ezra the Push the Limit elite pilot talent to take full advantage of the ship's action bar each turn and maintain a constant defense. 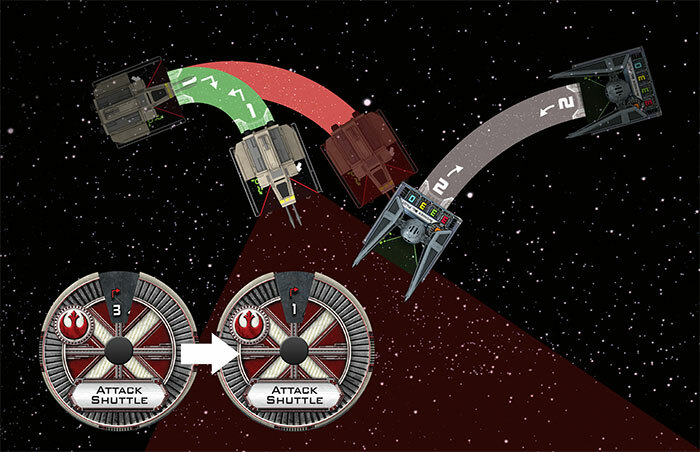 With Kanan Jarrus aboard his attack shuttle, Ezra Bridger can choose from twelve different maneuvers to clear the stress he takes from Push the Limit, instead of just four, and he can then use Push the Limit again to perform an evade action and then barrel roll out of another ship's firing arc. Or he could evade and grab a focus token to modify his attack. 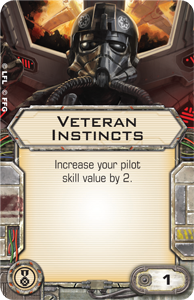 Either way, he can then activate his unique pilot ability and still derive the benefit of two different actions. "The Empire wants to paint over everything with its boring shades of gray, black, and white. Sabine puts the color back." Mandalorian explosives expert Sabine Wren brings pilot and crew abilities to X-Wing that reflect two of her major interests—expressing herself creatively and blowing things up. As a pilot of the attack shuttle, Sabine Wren flies by her own rules. Whenever she activates, immediately before she reveals her maneuver, Sabine Wren can perform a free boost or barrel roll action. Then, like any pilot, Sabine Wren can perform a normal action after she completes her maneuver. Still, the action advantage that her ability provides is just the beginning of its benefits; more importantly, it opens an additional action type and permits the execution of two key actions outside of the normal timing. 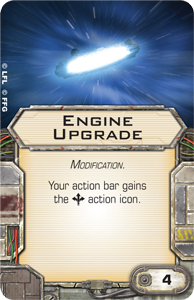 By permitting you to peform boost actions without the introduction of an Engine Upgrade , Sabine Wren's ability greatly expands upon the attack shuttle's already considerable maneuverability. Among other things, it allows her to turn her attack shuttle more sharply than her colleagues, especially since she performs her free boost before she executes her maneuver, meaning that she could boost and then perform a speed "1" turn in the same direction to turn her attack shuttle nearly one-hundred forty degrees. Perhaps the greatest freedom that Sabine Wren gains from her ability, though, is the freedom to fly straight at asteroids and debris fields, knowing that she can simply perform a barrel roll before her next maneuver. 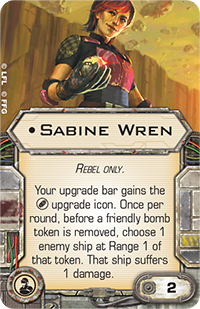 Meanwhile, as a crew upgrade, Sabine Wren adds a bomb slot and increases the damage potential of the bombs that her squadrons deploy. 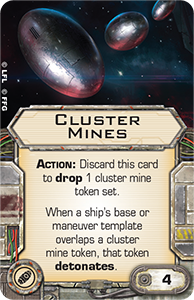 This can lead to the adoption of a number of different strategies, especially given the boost that bombs and other ordnance received with Wave VII, the economic advantages provided by the Extra Munitions upgrade, and the tactical flexibility provided by Conner Nets and Cluster Mines . 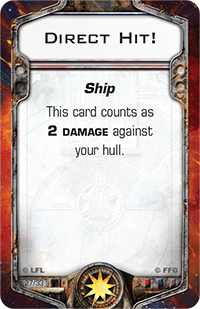 By adding these abilities to a ship like the Ghost, Sabine Wren can keep your opponents off-guard. 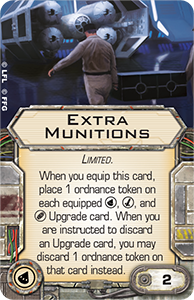 And if the eight squad points you spend on Sabine Wren, Conner Net, and Extra Munitions can force them to second-guess their maneuvers, that's a sound investment. 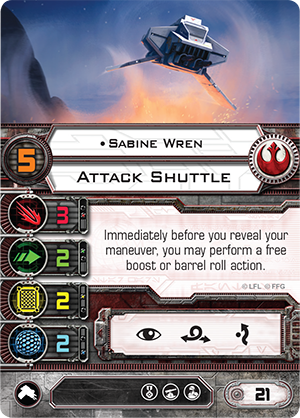 Finally, it's worth noting that although it only functions once per round, Sabine's crew ability enhances the damage dealt by all friendly bombs, not just those deployed from her ship. "Zeb is the muscle of the group. He's great at smashing things, including things he doesn't mean to smash." A former member of the Lasan Honor Guard and a highly skilled combatant, Garazeb Orrelios witnessed the Empire's devastation of his homeworld first-hand and was, therefore, typically eager for any chance to beat up Stormtroopers or other Imperials. Zeb was big, brash, and quick to anger, but he was also full of compassion for his friends and others who suffered under Imperial rule. 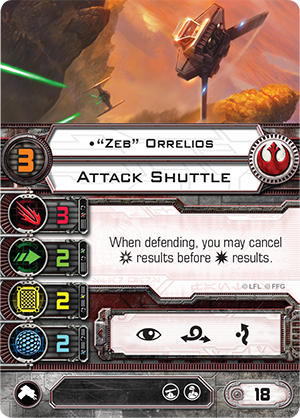 In X-Wing, the crew version of "Zeb" Orrelios continues to carry the fight to the Empire, even when his ship is touching an opponent's. "Enemy ships inside your firing arc that you are touching are not considered to be touching you when either you or they activate during the Combat phase." Although his wording technically leads to double-sided situations, in which neither his ship nor the ship that he's targeting is considered to be touching the other during the Combat phase, partnering Zeb with a skillful pilot can make his ability a bit more one-sided and advantageous. 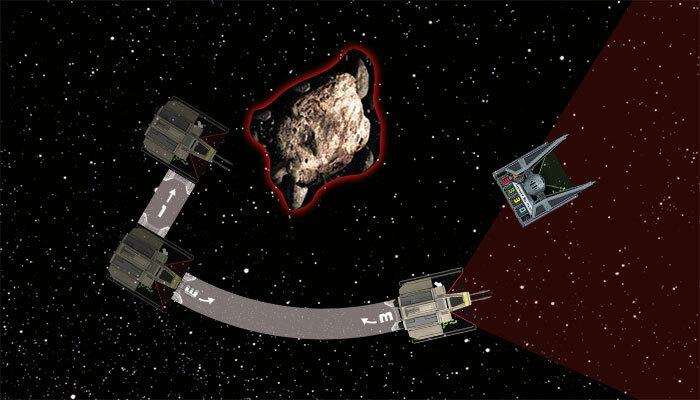 For example, Hera Syndulla could adjust her maneuver to slam the Ghost into a Lambda-class Shuttle outside of its firing arc. Then, even though neither ship is considered to be touching the other, only the Ghost will be able to claim its shot. 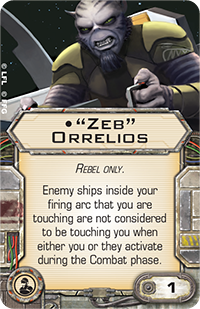 Meanwhile, the second version of "Zeb" Orrelios plays off his history as a survivor. 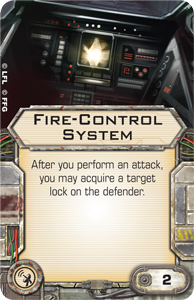 He was one of the few Lasat to survive the Empire's strike against his homeworld, and when he flies the attack shuttle, he can cancel his opponent's results before their results. While this may not prevent him from taking damage entirely, Zeb's ability goes a long way toward making him a more reliable contributor to your overall strategy. Even after his shields give out, he's less likely to suffer a critical hit that limits his maneuverability or that prevents him from attacking. Perhaps, most importantly, even if he only rolls a single result while staring down an attacker who has rolled both a result and a result, Zeb's chances of avoiding a Direct Hit! and surviving the shot are still fully one-hundred percent. The sixth and final crew member of the Ghost is the cantankerous astromech droid C1-10P, commonly known as "Chopper." Ill-tempered and stubborn, Chopper was nonetheless loyal, heroic, and extremely capable. During his time aboard the Ghost, Chopper aided with everything from repairs and communications to gunnery. 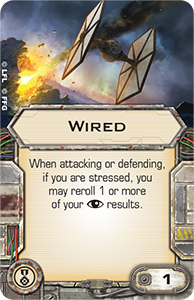 Chopper's versatility comes to life in X-Wing largely through his crew card. As a crew upgrade, "Chopper" allows his ship to perform actions, even when it is stressed. However, his ability also comes at a cost; whenever you perform an action with his ship while it is stressed, "Chopper" forces it to suffer one damage. This means that Chopper's is an ability you won't want to use lightly, but when you decide it's worth using, Chopper's ability can easily prove the difference between life and death. 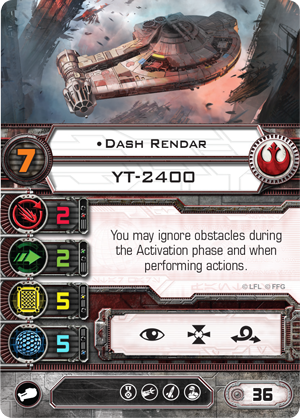 For example, it is relatively easy to imagine a situation in which your opponent has forced one or more stress tokens onto Dash Rendar's Outrider and then correctly anticipated Dash's maneuver in order to line up a shot from within Range "1" of Dash's Heavy Laser Cannon . It looks bad for Dash. Dash is at just two hull points remaining, and his enemy has a point-blank shot. Moreover, Dash has none. His enemy might even be piloting a ship that has already suffered a Direct Hit! Still, Dash is an easy kill… unless he can take an action to barrel roll out of Range "1" from the enemy ship. This is where Chopper can turn the whole game on its head. Dash accepts a damage in order to take an action. He performs his barrel roll and gets the Outrider to Range "2" of his opponent, allowing him to take a shot with his Heavy Laser Cannon. 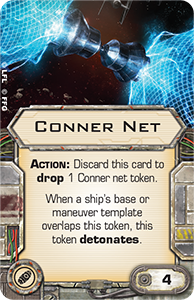 The odds are good he now destroys his opponent's ship before it even has the chance to attack, and even if he doesn't, his opponent no longer rolls an extra die on the attack. 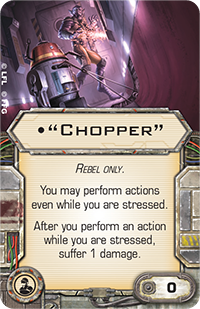 "Chopper" also plays on the idea of stress as a pilot, except that this time he creates stress among his opponents. 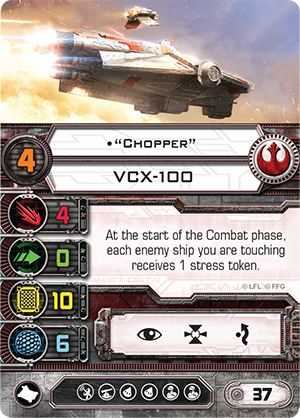 At the start of the Combat phase, Chopper assigns one stress token to each enemy ship that his VCX-100 is touching. By doing so, he can limit their future options, and this can make Chopper an excellent pilot for any squadron that wants to block its opponent's flight lanes. 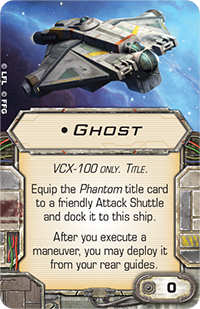 The Ghost Expansion Pack brings more to X-Wing than its pre-painted miniatures, its maneuver dials, and its cards. It gives life to the protagonists of Star Wars Rebels, and it brings the show's heart and optimism to your gaming table. 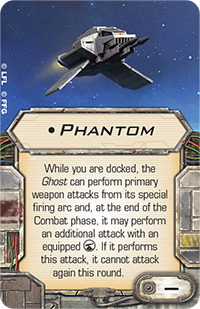 How will you crew the Ghost and Phantom? Discuss your squad builds on our community forums. Then head to your local retailer to pre-order your copy of the Ghost Expansion Pack today!